The walk took place through the beautiful water-filled landscape of Bushy Park and Hampton Court, covering a 6 mile distance and finished with well deserved tea and cake at The Glass House. It was a glorious day with clear skies and sunshine the whole way. We saw plenty of deer, and enjoyed exploring both the open spaces and the more intimate woodland settings that it offers. For the first time this year, we also gave our supporters the opportunity to take part in a virtual walking challenge whenever, wherever and however they preferred. 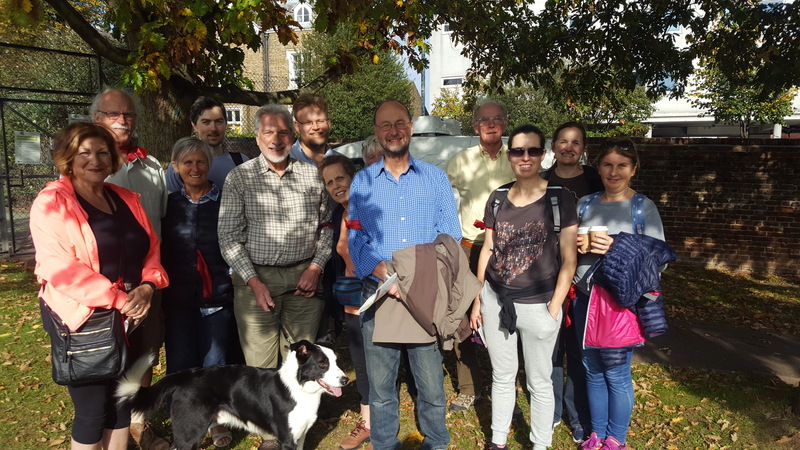 We knew that not everyone would be able to make the actual walk on the 15th October and by organising a virtual walk it meant there were no restrictions on who could take part. We were delighted to have a group of 5 year olds take on this 6 mile virtual challenge and we were even more thrilled when we heard they had managed to raise a staggering £1,300. Six miles is a really long distance for a 5 year old to take on and we were humbled when they told us they wanted to do the challenge to raise money for children in India who were less fortunate than them. What remarkable children and what a great reminder that doing your bit for charity can start at any age! Walking for Water 2017 was a big success for us this year and whilst sponsorship money and donations are still coming in, we are estimating our final total will be around £4,000 which will go a long way to continuing the success of our water and sanitation projects in village India.